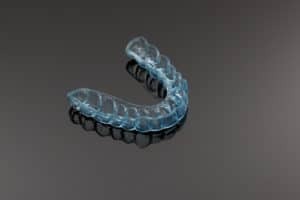 So you’ve just had your six month dental checkup and you were told you need to consider getting a dental night guard. What exactly is a dental night guard and what is it for? The team at our dental office in Warsaw is here to explain. If you happen to notice any of these signs and suspect you may be grinding your teeth, we welcome you to give our Warsaw dental office a call to schedule an appointment. We’ll perform a thorough evaluation in our relaxing office to determine if bruxism is the root of what you’re experiencing. If it is we’ll talk with you about your treatment options and work together to decide which one may be best for you.